Mostly we have hobby games not sport. You can enjoy playing them around the World. 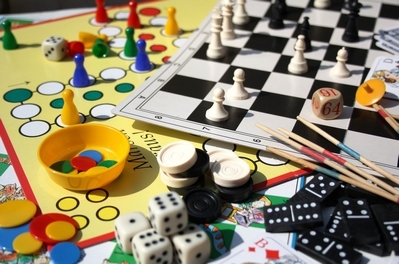 Tabletop games include board games, card games, dice games, miniatures war games, tile-based games and other games that are normally played on a table or other flat surface.